Dr. Gene Fant, Jr. (L), President, North Greenville University; and George Russ, Executive Director Metropolitan NY Baptist Association. TIGERVILLE, SC (courtesy ngu.edu) — North Greenville University’s new president, Dr. Gene Fant Jr., hit the ground running as he officially began his service on June 1. He began his duties not on campus, but in New York City. 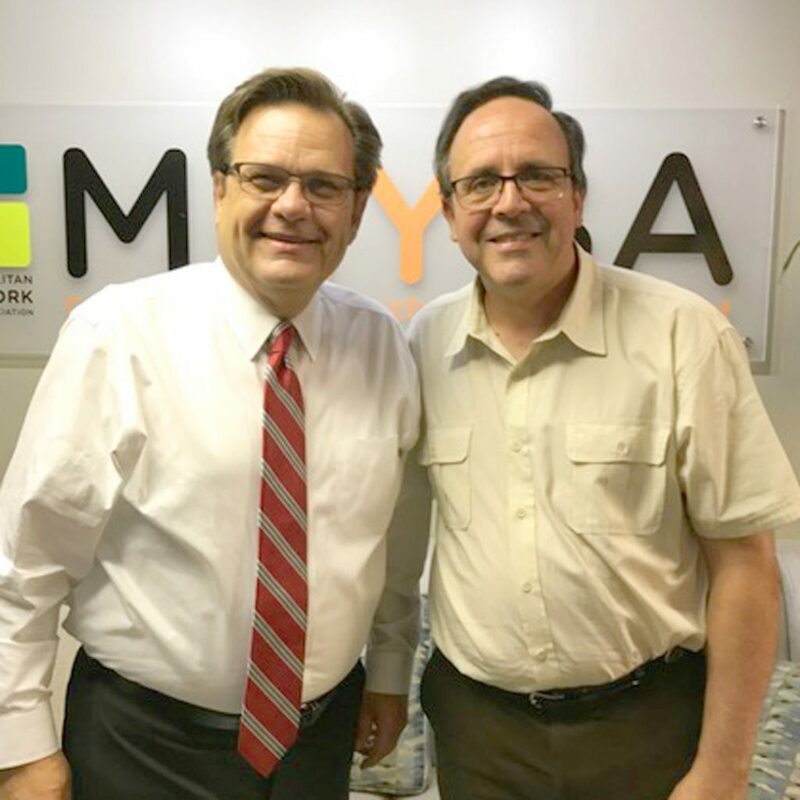 First, he met with George Russ, executive director of the Metropolitan New York Baptist Association (MNYBA), before heading to serve as a delegate at the Higher Ed Leaders Forum hosted by The New York Times. While with Russ, Fant reviewed the recent missions work that NGU students had completed in the city with Allen McWhite, director of NGU’s Center for Cross-Cultural Engagement and Global Leadership. Also attending the meeting was Homer Reeves of Greer, SC, who serves as a church planting strategist for the MNYBA and the North American Mission Board (NAMB). McWhite is the interim pastor of Reeves’ church, Brushy Creek Baptist, in Taylors. Fant grew up in Upstate New York, where his father, Gene Fant Sr., was a church planter. The elder Fant also served as president of the New York State Baptist Convention. At the Higher Ed Leaders Forum, Fant participated with about 200 other college presidents and senior officials, who heard from thought leaders in public policy and top governmental officials. Topics included college affordability, government regulation, and dealing with campus controversies that have plagued many campuses in the past year. In addition to his work as a university administrator, Fant is a widely published essayist and commentator, including frequent contributions to The Chronicle of Higher Education, where he was a founding blogger. He hopes to provide commentary to The New York Times and other leading media outlets in the future, representing NGU’s unique mission and perspectives on current events. These meetings underscore the twin priorities of Fant’s administration: missions in the context of Southern Baptist churches and the engagement of the larger culture at the highest level.